Intro: During the 1970s, Soviets faced a massive dilemma, their spies had told them that the western subs trailed Soviet ones closely and knew almost everything about the Soviet subs presently in service. In an allout war, Soviet boomers would be easily neutralized, meaning that Soviets had no second strike capability. At the tip of the western submarine force was the Los Angeles class SSN, the best SSN of that era. It was closely matched by the Victors but the latter was not as quiet. Again espionage helped them, they got to know about their enemy pretty well. Thus with a clear idea of the enemy’s capabilities they started the development of a titanium hulled sub which would enter service as the Sierra class, but after facing huge problems during the construction of this new sub, a steel hulled alternative was developed which would be called as the Akula by NATO, and would outclass all of the existing subs with its superior all round performance. This article is about Akula class of nuclear powered attack submarines. In the late 1970s, development of the Sierra class was started as a successor to the largely problematic Alfa class of SSNs. 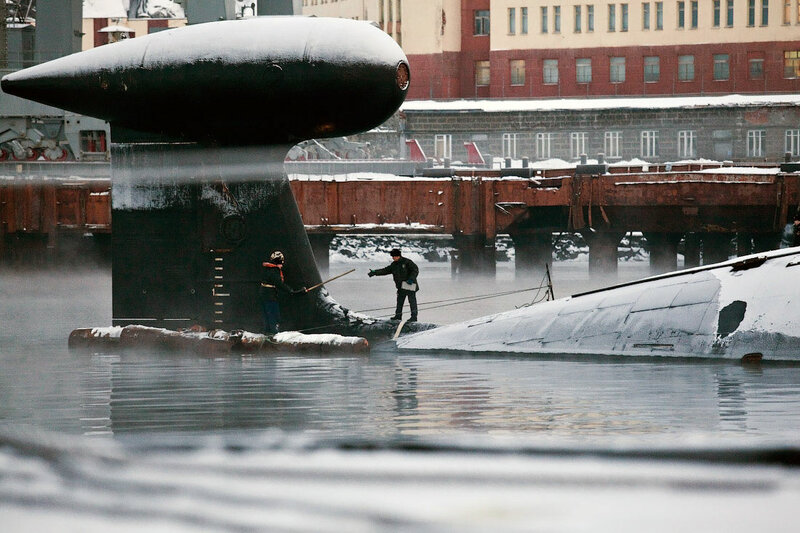 This new sub had to close in or surpass the performance gap between western and Soviet submarines of that era, it was named Project 945 or Barrakuda by the Russians whereas Sierra was its NATO designation and it was designed to displace close to 6000 tonnes. Titanium allowed for much lower displacement compared to same design made out of steel. Titanium had its drawbacks too. It was costly, was difficult to work with and the production process faced massive problems during the construction of the submarines. Only 2 Sierra I and 2 Sierra II (designated Project 945A by Soviets) were produced in a span of 10 years before the production stopped. A Sierra 3, designated 945AB was laid down along with 1 more unconfirmed hull, but were scrapped on the ways due to collapse of the Soviet Union. Thus only 4 subs were in service, far fewer than the original plan of 40. Hence they sought out for a new SSN made of steel, sporting a similar design with similar performance. K-534, one of the Sierra 2 boats underway. The steel hulled replacement was named Project 971 or Shchuka (NATO name Akula) and displaced slightly more than 8000 tonnes, which made it heavier than Sierra and reduced its performance, but its steel construction still allowed it to dive to depths of 600m ie same as the Sierra. This new sub retained Sierra’s reactor and towed array along with some other systems but was largely a new design. The lead boat K- 284 was laid down at Komsomol’sk in 1980 and was commissioned in 1984 . An Akula class sub features 8 torpedo tubes, 4 each of 650mm and 533mm whereas some later ones like the K-355 and K-152 have 8x533mm tubes. They could carry 40 weapons (compared to 25 of flight 1 LA and 25+12VLS of Flight 2 LA and 688I) for these torpedo tubes internally . The 650mm torpedoes were specifically designed to sink large surface vessels like freighters and aircraft carriers, whereas the 533mm torpedoes were used for ASW and taking out medium to light surface vessels. It also carried Granat (not to confused with Granit AShM) sub launched cruise missile with a range of 3000km, much higher than that of TLAM ie Tomahawk Land Attack Missile. Later the Klub missile family was also rumored to be synced with the Akula class subs. Akula can manage a submerged top speed of more than 35kn and a surface speed of 12kn and dive as deep as 600m, 200m more that contemporary American submarines. Soviet sub skippers usually dove below 400m to lose their American tails as American subs couldn’t dive as deep and had to remain above them, eventually Soviet subs got away by hiding below a thermal layer. Subsequent Akulas were longer than previous ones and featured active noise reduction along with quieter propulsion system which made them quieter than comparable LAs. Akulas featured its main cylindrical sonar array below the torpedo tubes, another 2 arrays in fore and aft part of the sail and 4 wide aperture arrays ie 2 on each side (unlike the common thinking that Americans were the first to use them, Russians deployed them first on their Akulas). Akula had the characteristic bulbous towed sonar array housing on the rudder which increased its listening capability. They carried forward the legacy of Alfas by featuring high degree of automation thus reducing the number of crew to around 70 including 30 officers , improved Akulas bought this number down to 60 while retaining same number of officers, for comparison LA class needs 130 or so men to operate at peak efficiency. Americans already were facing problems against the Victors which sported non acoustic measures of detection ie SOKS, the Americans had no counter for this system as all vessels had a detectable wake and transmitted heat into the water from its reactors in case of nuclear powered vessels. This allowed Victors to trail American subs at a safe distance, without allowing the LA to detect them. The Victors, however were noisier, but after the arrival of Akulas the tides were turned. Akulas simply outclassed the LA, they could dive deeper, carry more weapons internally, sported a good towed array, which removed the advantage LA had over older subs. Never variants further reduced the sound generated, early Akulas were as quiet as early flight 1 LA, improved Akulas were as good as flight 2 LA and new ones are superior to flight 3 LA in all aspects. Another important aspect was the presence of wide aperture arrays allowing 360 degree awareness which the LA didnt have (thats the reason Americans copied the concept for Seawolf class and Virginia class after testing it on the last LA to be built, the Cheyenne). They also have an integrated targeting system comparable to LA’s BSY-1 system (rumored to be its copy) which essentially processes data from all of Akula’s sensors and could deploy weapons at a target detected by any of the sensors. With all this stuff in its armory, LA’s crown of being the best was taken away and Akula became the king of the submerged world. 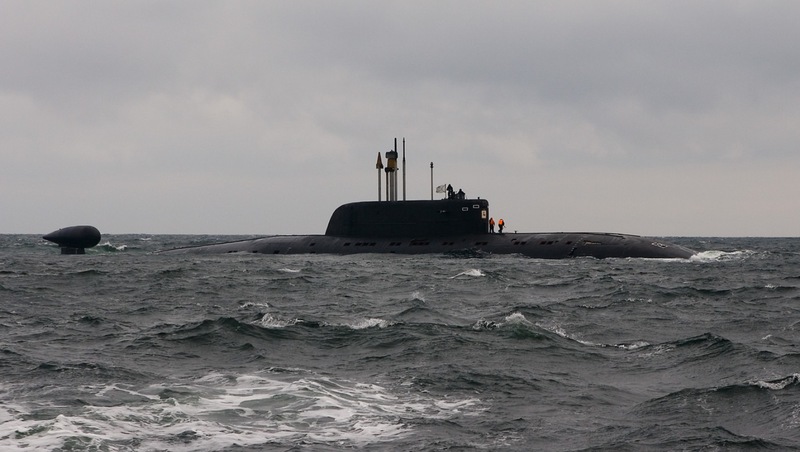 Russians managed to produce 15 of these of which 5 have been retired, 9 serve the Russian navy where as K-152 Nerpa has been leased to the Indian navy where it is named INS Chakra . There were rumors that the Chinese wanted Nerpa as well but decided against it. Two incomplete ones and 1 recycled hull were used for Borei class SSBN, whereas two others were scrapped. One more Akula named Irbis is around 60% and will most probably be completed and leased to the Indian navy. There are negotiations going on for probable lease of Kashalot K-322 to India as well after her modernisation, as a stop gap till Irbis is completed and India produces her own attack boats. This would make them a submerged nuclear power in the region, as Akula is simply the best in the region. good start. keep it up!